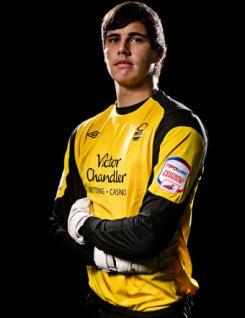 Karl Darlow is a young goalkeeper who rose through the ranks at Nottingham Forest. Tall and well built, he spent the majority of the 2010-11 season either in the reserves or sat on the first-team bench. He finally made his senior debut when he came on as a substitute to replace Lee Camp for the last 15 minutes of the final game of the regular season against Crystal Palace.